Awoooooo everyone. Louise here. Decided to have a different username in this one as last time I used the same on on a different forum I learnt my lesson!!!! So on here I am Huskymomma. For those of you who don't know me, I have 10 month old Storm a Husky x GSD and am soon welcoming 14month old Angel a full husky from Huskies In Need. I also have a husband, Alex and two non furry kids Jordon (10) and Alyssa (4). I don't live in Suffolk!!!! I live in Northampton. What day do you bring Angel home? Well Sid, tomorrow she visits for the day with Kerry. And we pick her up on the 24th of June on our way home from our holiday. this is my fur-sister Star who is a Tibetan Terrier. this is my fur-brother Bear who is also a tibetan terrier. Your doggies look lovely, always think its nice when they have a pal to play with if they are energetic! 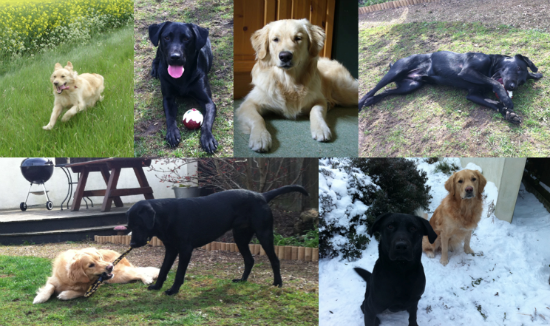 Florence24 wrote: Your doggies look lovely, always think its nice when they have a pal to play with if they are energetic! yup. I was born in CHelmsford!!! !